Co-lead singer of country sensation Lady Antebellum Hillary Scott took to Instagram yesterday to share a gorgeous wedding photo, and her thanks, on her fourth wedding anniversary to husband and bandmate Chris Tyrrell. In the throwback wedding photo the country music couple are standing outside in the moonlight after their sunset wedding. Scott is looking beautiful in her strapless mermaid Vera Wang wedding dress, her long veil, dotted with chantilly lace appliques cascading down her back to the floor. Tyrrell, wearing a grey Ermenegildo Zegna suit is lifting her hands to his lips for a kiss. Aside from photos of Lady Antebellum’s leading musical mom and drumming dad performing, Eisele, the couple’s adorable two-year-old daughter, takes up most of the real estate on Scott’s Instagram account. The pair met while on Tim McGraw’s “Southern Voice” tour in 2010 and have been inseparable ever since, which makes sense since they’re both integral pieces of the Lady Antebellum puzzle! Six months after Tyrrell proposed in Tennessee over July 4th weekend in 2011, the couple married in intimate wedding in upstate New York on January 7, 2012. 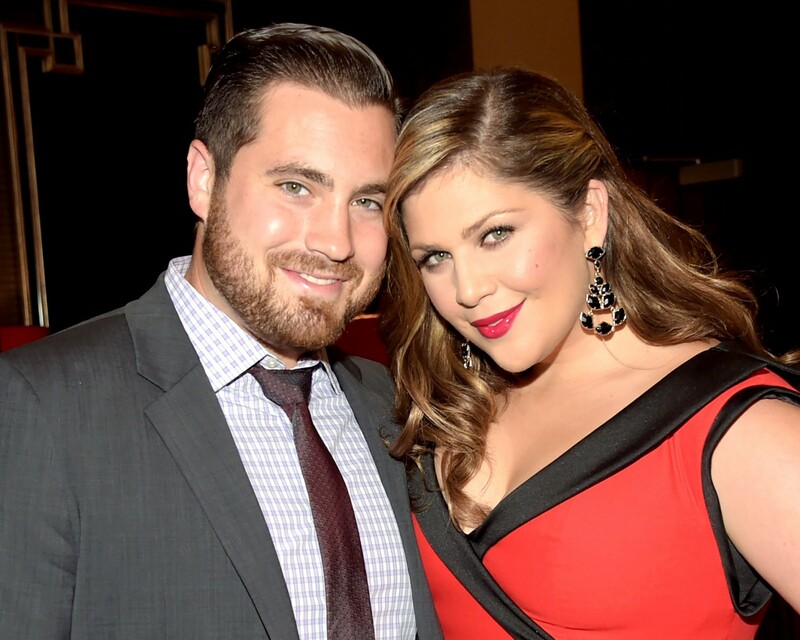 Be the first to comment on "Hillary Scott Celebrates 4th Wedding Anniversary, Shares Beautiful Wedding Photo"